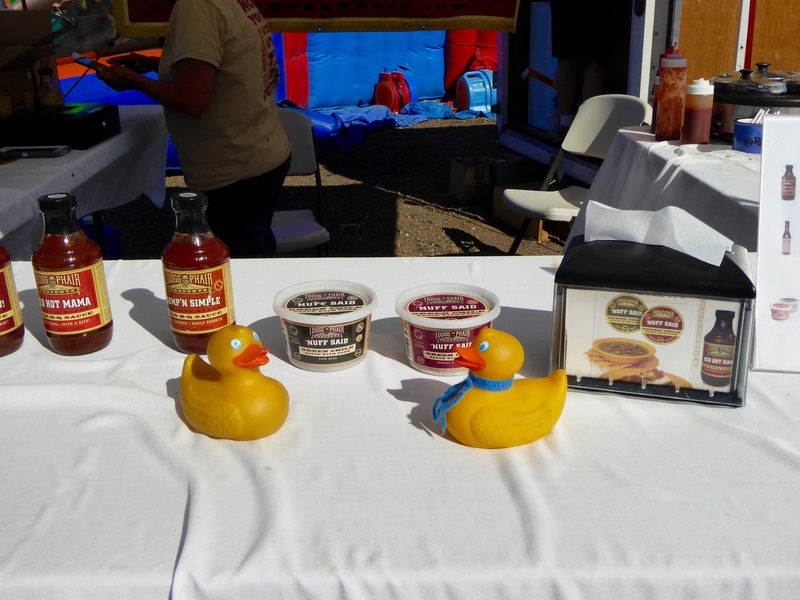 Last Saturday, Zeb and Soapy Smith Duck, went to nearby Brighton, Colorado to a Chili Fest. 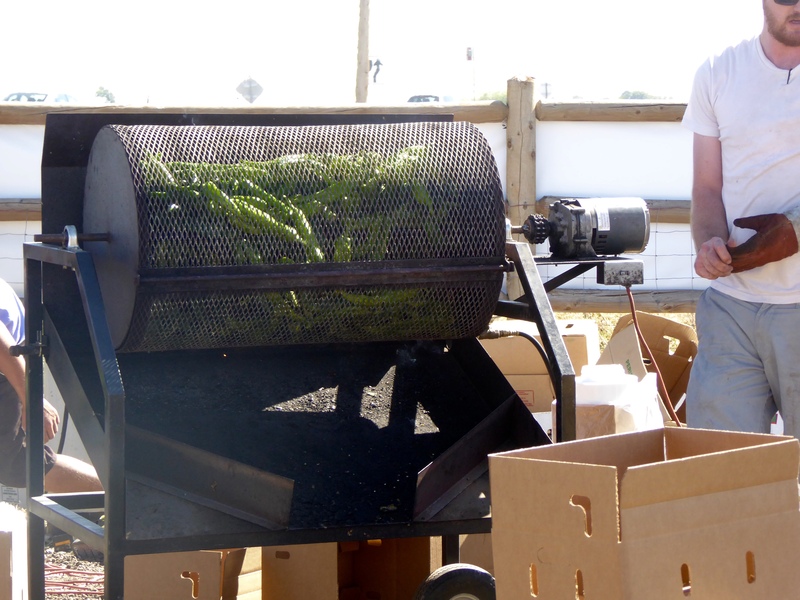 A sure sign of fall in Colorado is the aroma of chilis being roasted. There were seven machines for chili roasting here, so the aroma of roasting chilis certainly filled the air. 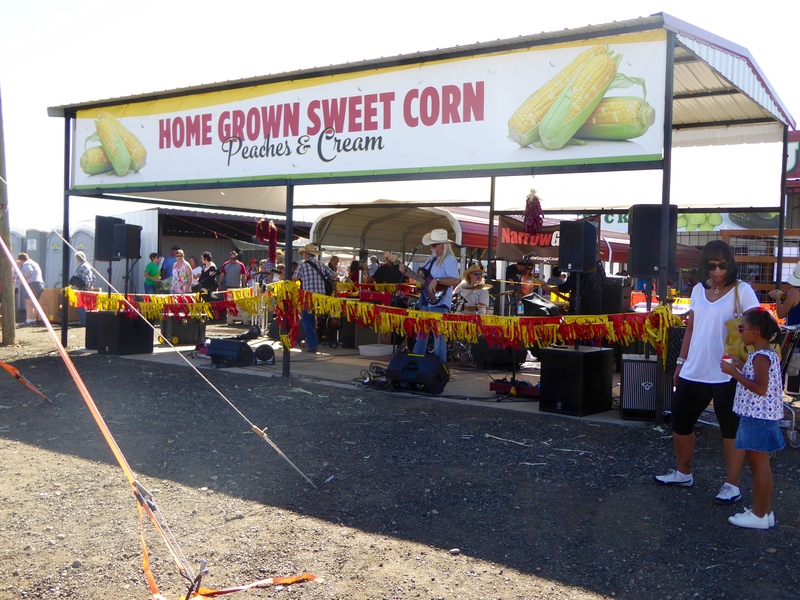 This Chili Fest was held at Lulu’s Farm Roadside Market. 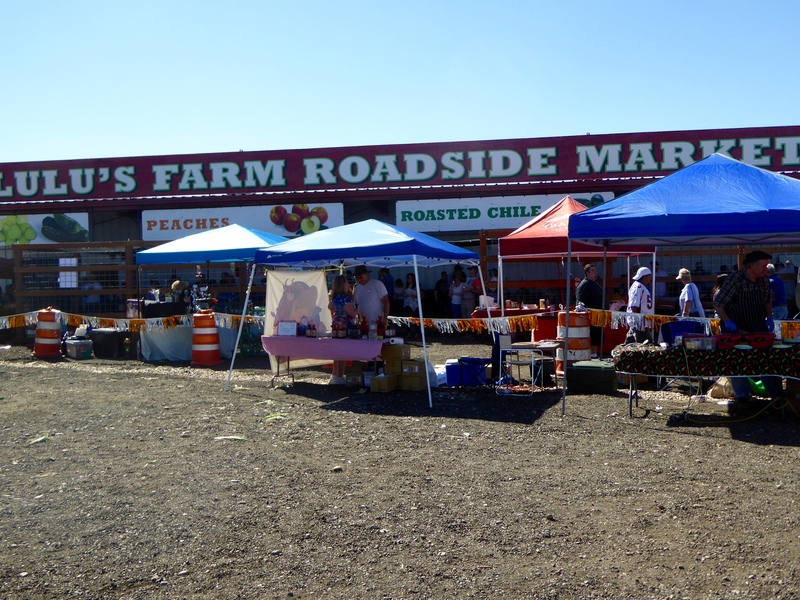 This farm market is open all year, so there is always something fresh and delicious here. And, the farm is right here. 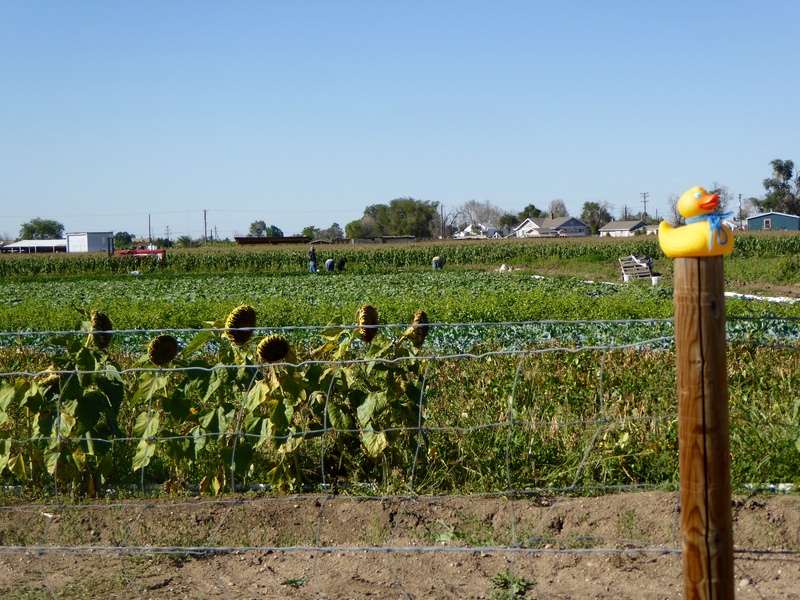 You just can’t get produce any fresher that this. Children of all ages had plenty of choices for fun. Here you could throw a football. 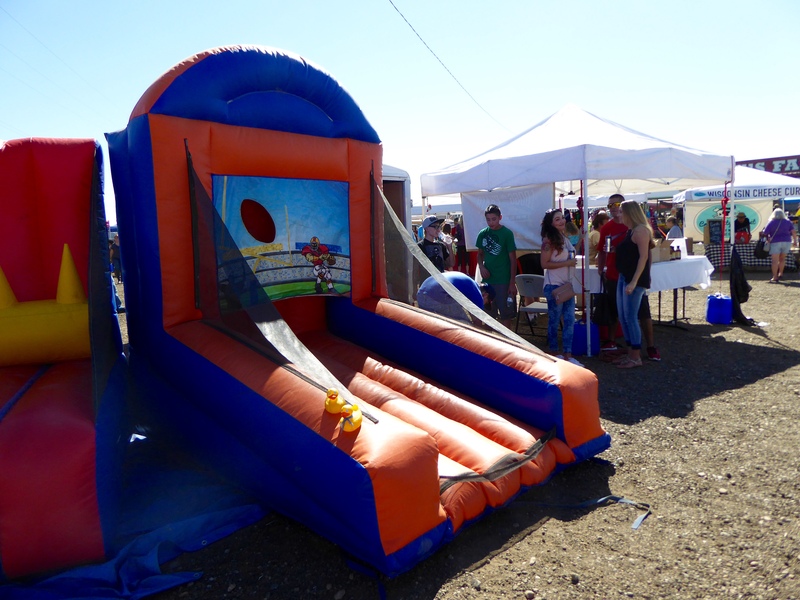 Of course, there were places for inflatable slides, bouncing, etc also. 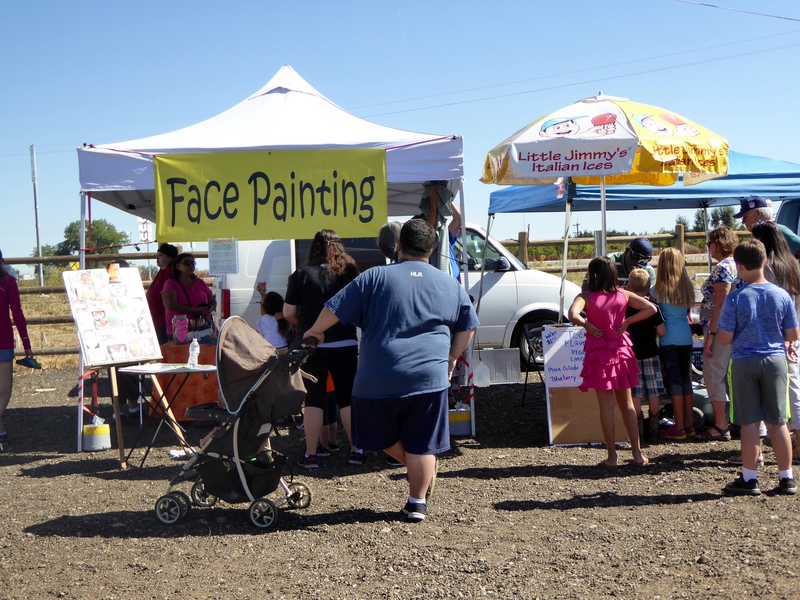 Face painting is always popular. 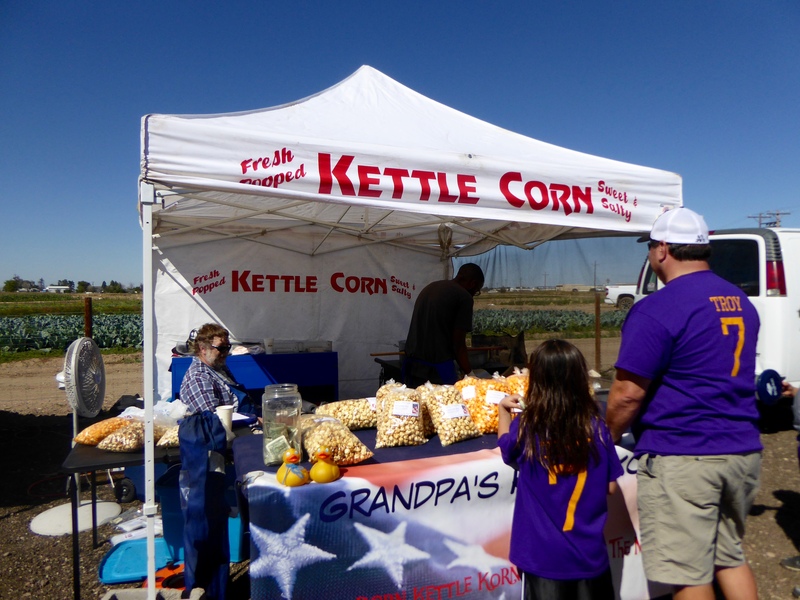 And one of mom’s favorites, Kettle Corn, is a regular stop. This stage hosted live bands. Some people danced, other just listened and chatted with friends. 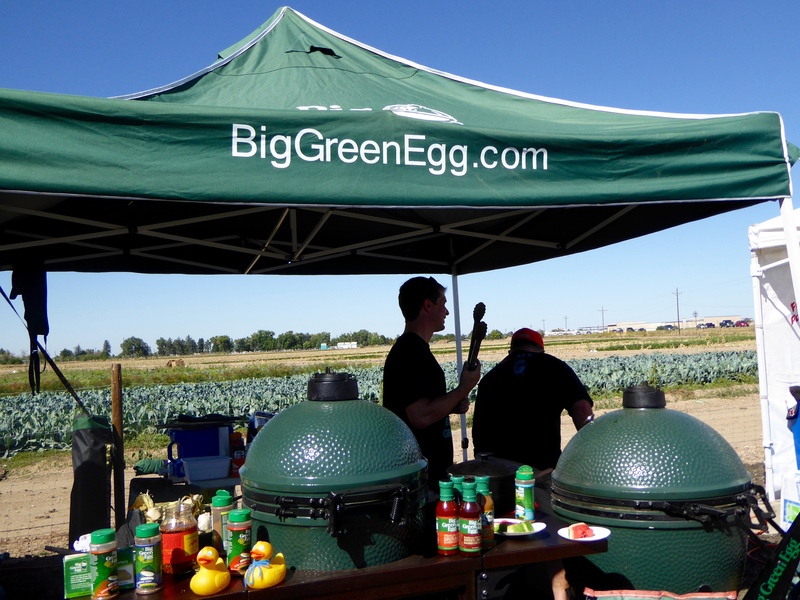 You could purchase BBQ sauce and other spices from the Big Green Egg. They also have grills available. Soapy and Zeb liked the real Big Green Egg here. 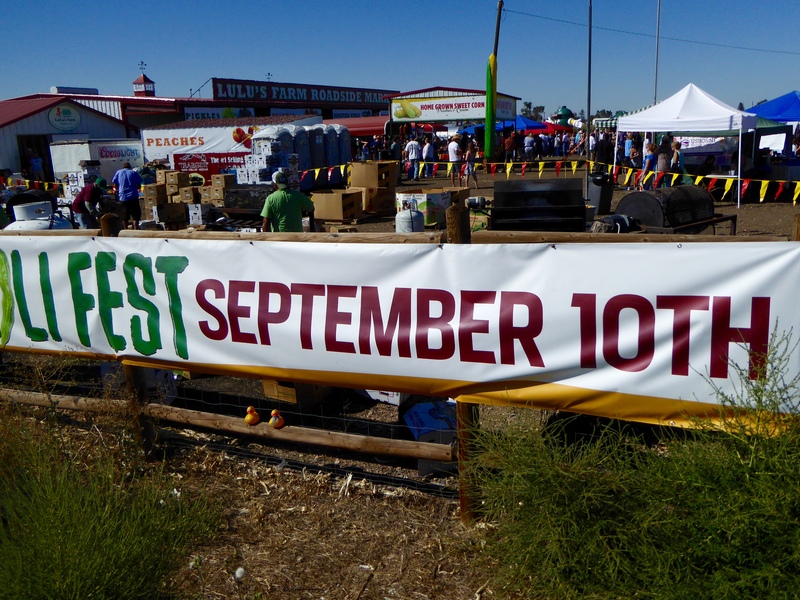 Since this was a chili fest, we purchased Rocky Mountain Green Chili Mix. It is made in Littleton, Colorado, a southern suburb of Denver. We like buying things produced here in Colorado. There were samples of this green chile and many other samples available. Visit them at http://www.MyGreenChili.com It is always nice to try before we buy. Another booth was offering frozen green chili. J. Dogg Phair green chili is made right here in Denver. Another tasty green chili. Visit them at http://www.JDoggPhair.com We bought mild and hot chili. 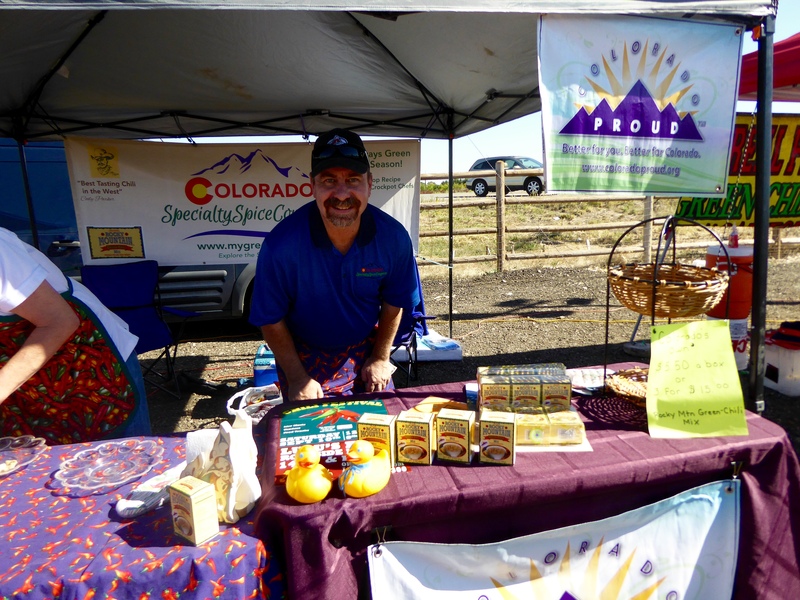 We will be eating green chili during the autumn and may even order more from these local companies. We hope you are enjoying some autumn festivals in your area, or on your travels. Festivals are fun. 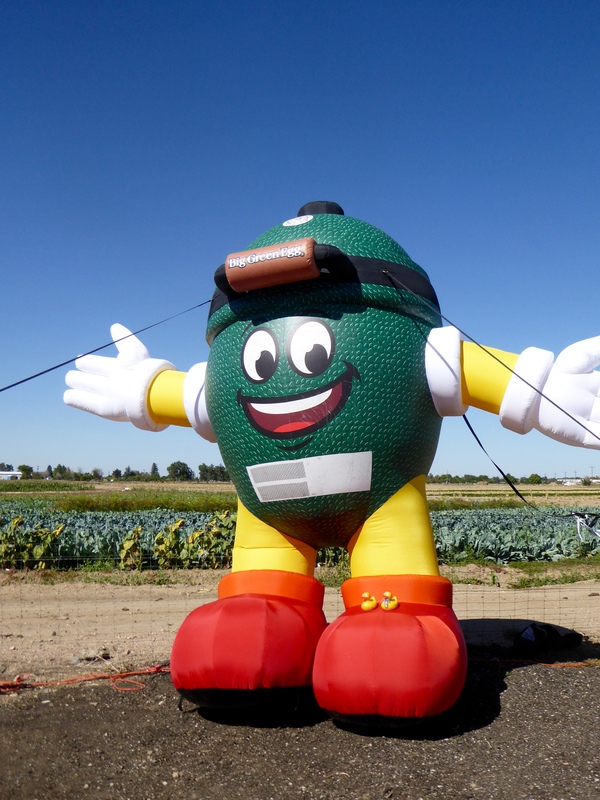 This entry was posted in Colorado, Uncategorized and tagged Big Green Egg, Brighton, Chili Fest, Colorado, Colorado Traveling Ducks, green chili, J Dogg Phair, Lulu's Farm, My Green Chili, roasting chilis. Bookmark the permalink. With so much chili in the air, were your eyes watering? No. The area was large enough and there was a breeze, so just aroma, but no eye watering. Thanks for reading and commenting.